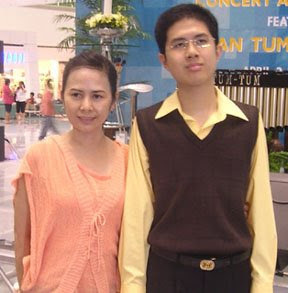 Our FSG facilitator for the month of May is no other than Ms. Belina Regalado, the mom of Thristan Mendoza or better known as “Tum-Tum”, a world-class marimba musician. “When Tum was still a kid, he hated video lights or any form of the shade of red. He could not bear the sounds of electric drills and food grinders. He didn’t like looking at the mirror. He has fascination over spinning objects such as electric fans and bicycle wheels. He needed a lot of prodding before he can join the other children”. Hurry! Call now to register in the May 16 Family Support Group. Listen as Belina speaks from her heart. Learn the experiences she faced in coping with all the struggles after her son was diagnosed with autism. Take home practical tips on parenting and how to advocate for your child with autism. Hurry! Call now! Only 15 seats available! Our speaker, Ms. Anna Fe C. Abad is a graduate of BS Physical Therapy at Our Lady of Fatima University and had earned Post Baccalaureate Degree in Special Education at the University of Perpetual Help, Laguna. A former Managing Director of Behavioral Management for Autistic Children (BMAC), she currently works as a Behavior Therapist and Consultant. Teacher Anna is one of the few accredited ABA practitioners in the country. The Applied Behavior Analysis (ABA) approach teaches social, motor, and verbal behaviors as well as reasoning skills. ABA treatment is especially useful in teaching behaviors to children with autism who may otherwise not "pick up" these behaviors on their own as neuro-typical children would. The ABA approach can be used by a parent, counselor, or certified behavior analyst. For people having difficulty using speech as a primary mode of communication within school, home or community settings, pictures can be a good tool to help facilitate communication. Learn how using pictures to communicate with children with autism can be an effective way to get the message across, and visa versa.